Houseplants: In September, start considering how to best preserve your favorite plants. For instance, instead of waiting for frost warnings to tell you that it’s time to move your warm-weather houseplants indoors, try to pay attention to the temperature. Whenever the weather report cites temperatures 45° F or lower, that’s a sign that houseplants will soon be at risk. Give them shelter when necessary so you can enjoy houseplants throughout autumn. Herbs: Herbs that have enhanced summer foods all season long can do the same for autumn meals. Varieties like chives and parsley can continue growing throughout the colder months if you take them inside as well. Repot them in a more comfortable environment and they will survive for an extended period of time. Bedding annuals: To guarantee that you can look forward to having more annual bedding plants next year, collect cuttings from your begonias, coleus, geraniums, impatiens, etc. 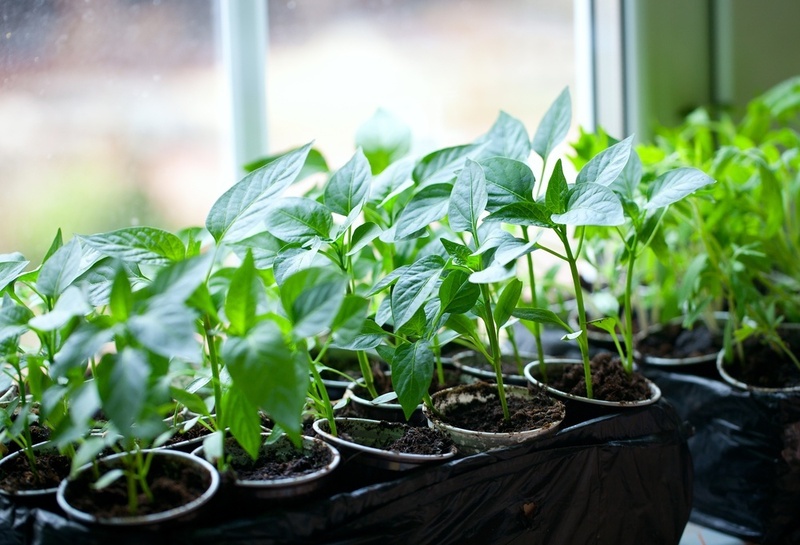 Replant them in a container with exposure to a sunny window, giving them shelter throughout the winter. Seeds: Seeds from self-pollinating, non-hybrid flowers like marigolds can be saved for another season. Once flower heads have matured, pluck out the seeds then place them on newspaper. Turn the seeds over regularly so that they can dry, at which point they are ready for storage. Glass jars and envelopes in cool, dark, dry places work best, providing a good home for your seeds until you’re ready to plant them. Divide perennials: While the weather is still mild, divide perennials, such as peonies, daylilies and tall garden phlox. Dig into the soil with a spading fork and slice crowns into multiple pieces with a sharp spade or large knife. Separate the pieces into new clumps of soil, making sure that each has its own buds and section of roots. Research the appropriate depth for the particular variety of perennial you’re dividing. Add compost or peat moss to the mounds, then water and mulch throughout the colder months, and your perennials will thrive! Soil: Your garden produced beautiful plant life and produce all summer. Now is a good time of year to refresh your soil. Organic matter like manure, compost and leaves can give soil a boost, improving the health of plants. Watering: At this point, you’re used to watering your plants constantly to help them withstand the hottest days of the year. Transition your routine for fall so plants can make their own transition to winter more easily. In early autumn, only water plants sparingly. Once deciduous trees drop their leaves, however, that’s your cue that some varieties in your yard need a deep watering. Evergreen and deciduous trees, as well as shrubs, can use this extra hydration before the ground freezes. Autumn colors: Celebrate the season with plants that boast warm fall colors! For example, if you decide that you want to introduce more red into your yard this fall, choose from trees like flowering dogwood, red maple, sugar maple, Norway maple, red oak and scarlet oak. Meanwhile, shrubs that similarly take on a reddish hue include sumac, viburnum, winged euonymus and barberry. Wood ashes: If you enjoy fall bonfires, for example, wood ashes can be recycled by using them for your garden. The phosphorous, potassium and calcium found in wood ashes are good for vegetable and flower gardens, so spread some amongst plants. Seedlings: Protect your yard by diligently removing woody plant seedlings when you spot them. These seedlings, from plants like elm, mulberry hackberry and maple, infest yards just like weeds, eventually taking over. Soil test: You’ve done your best to refresh your soil after a hot summer, but there’s a way to determine for sure whether or not bulbs and beds will flourish in your yard once they’ve been planted. If you’re interested in collecting a soil sample for testing, explore this option now since the process takes about ten days. Spring-flowering bulbs: Now that you’ve followed through on the steps you decided are best for revitalizing the soil in your particular garden, it’s time for the fun part! Begin browsing, selecting, and purchasing the daffodils, tulips, hyacinths, and crocus you’d like to add to your garden. Bulbs that bloom in the spring shouldn’t be planted until the weather has gotten cold enough, but you can plan ahead in the meantime. If bulbs are stowed in a cool enough environment, one that is 60° F or lower, they will be ready for planting whenever you’re ready.